Today is the last day of July 2013. I know I haven't been posting for the whole month and this post was intended to be one of those "sorry posts". But then I realized that in fact it was a useful break for me and for this blog. Taking a step back gives a better perspective. As you probably know I update Knitca Facebook page with all the news that are happening here, in our company. I use Pinterest a lot (probably too much [sign] ) sharing photos I make and re-sharing photos I like with all our followers. We even started a group on Ravelry this spring to give you a place to proudly show your knits made with Knitca yarns / patterns. So how's this blog fit in the mix? That's what I was thinking every time I attempted to make a post this past month. 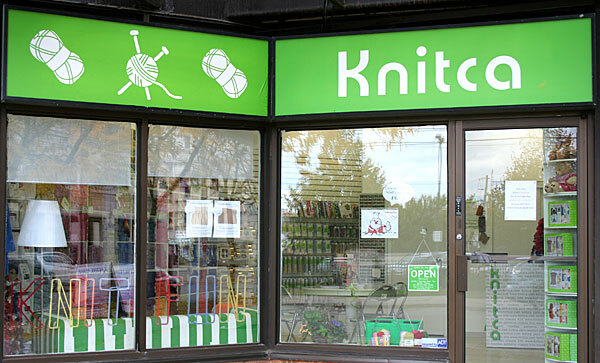 And then it got to me - every time a customer-friend comes to our store I feel happy to share a knitting / crochet tip, suggest a color combination of yarn, show a project I've just finished or still work on, give a free pattern as a small gift or share some inspirational photos / ideas. For those of you who happen to live far from Mississauga area (and can not visit our store in person) I can put all this information in a form of blog posts that you can use in your own knitting adventures.